When I was teaching (seems like forever ago now, even though it was only 4 years ago) I remember that February, while the shortest month of the year, always felt like the longest. It was cold and dreary, there were no vacations or breaks in sight, and it just seemed to drag on forever. I always dreaded February 1st and knew that once I had made it through the month it would be a downhill slide from there. I am pretty sure that most of my teacher friends, as well as the students, felt the same way! Now that I am a stay-at-home mom, my feelings about the month of February have not changed too much. We do have Maddie’s birthday to celebrate at the beginning of the month, but it is otherwise an uneventful, winter month. This year we have been blessed with gorgeous weather so at least we have been able to get outside some, but the shortness of the days is just a little bit depressing. This February is living up to February’s of the past so far. Mama had her hip replacement surgery, so my days (and some nights) have been filled with taking care of her. This in itself is not a bad task-the kids love being at her house and I have enjoyed spending time with her. (I think by the time it’s over I can maybe talk her into being a stay-at-home Gaga!) But a few days ago, everyone in our family got sick. I mean everyone. Chris, Randy and Bethony and their boys, Kitten, then me, Charlie, and Maddie. I think Casey got it, too. The only person who hasn’t been sick is Mama, I think because of the tremendous amount of antibiotics they pumped into her at the hospital. This has made everything a bit difficult. Anyway, I decided to cheer myself up the other morning while one of Mama’s friends was at her house with her. I checked out my favorite blogs and saw that everyone is suffering from the February blues, and this knowledge in itself made me feel a little better! Misery loves company, after all! I decided to steal some of their ideas and add in a few of my own to make my day a little better. Then, I made myself some good water. This sounds crazy, but drinking lots of water is important to me. It helps my skin and just makes me feel better. 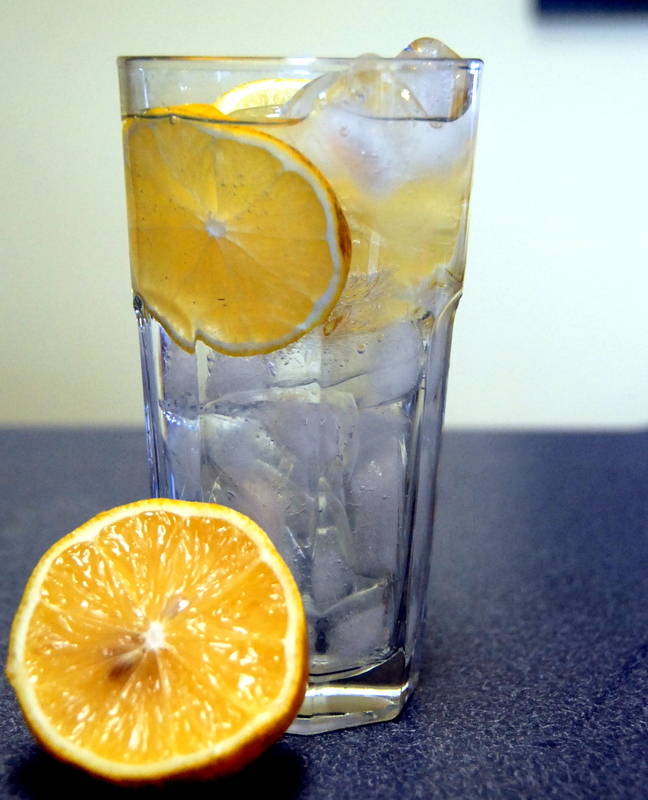 I got the brilliant reminder on one of my favorite blogs to add some lemon to just help it out a bit: http://spoiled-fresh.com/2013/02/07/how-to-get-yourself-to-drink-more-water-fancify-it/. There are some other great water recipes on this post, also. Water with fresh Florida lemons! So once I had some good music going and something to drink, I decided to make some sugar scrub. I found this idea on my very favorite blog, le zoe musings. This is a really great, calming, inspiring blog. She takes great pictures and has really good, easy ideas. 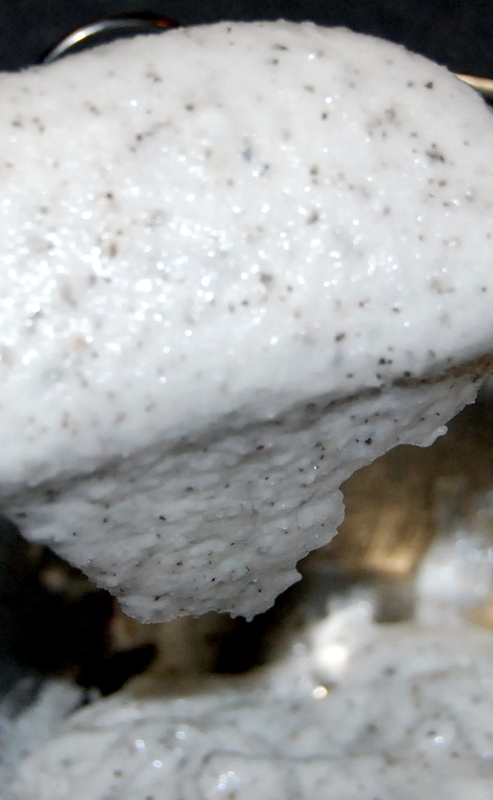 On today’s blog, she had instructions on how to make a Coconut Tea Rose Sugar Scrub. 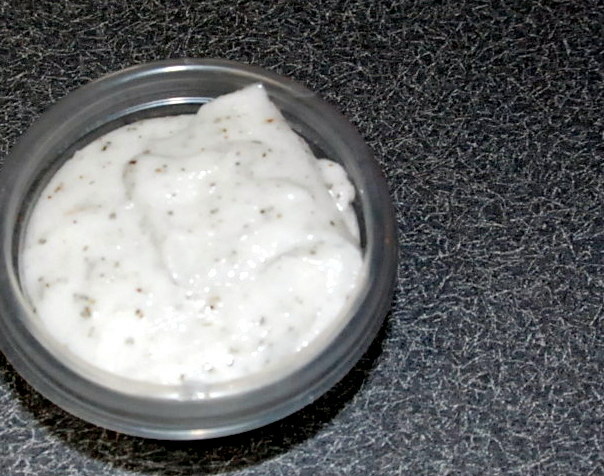 Here is the link to it: http://lezoemusings.wordpress.com/2013/02/07/diy-coconut-tea-rose-sugar-scrub/. I, of course, didn’t have all of those ingredients so I had to improvise a bit. I found a lavender baby oil gel that someone had given me when Charlie was born and I hadn’t used, so I decided to use it as my base. I had 1/2 cup of it, added 1 cup of sugar, then opened up a packet of green tea, mixed it all together, and viola: lavender green tea sugar scrub! I was really proud of myself and I so enjoyed using it in my shower that morning. Everyone can be expecting to be getting some sort of homemade sugar scrub from me as a gift this year! Another thing that I did recently (and am still enjoying today) to add a little cheer to my day was to buy myself some flowers. This was honestly an impulse buy that I have ended up enjoying. 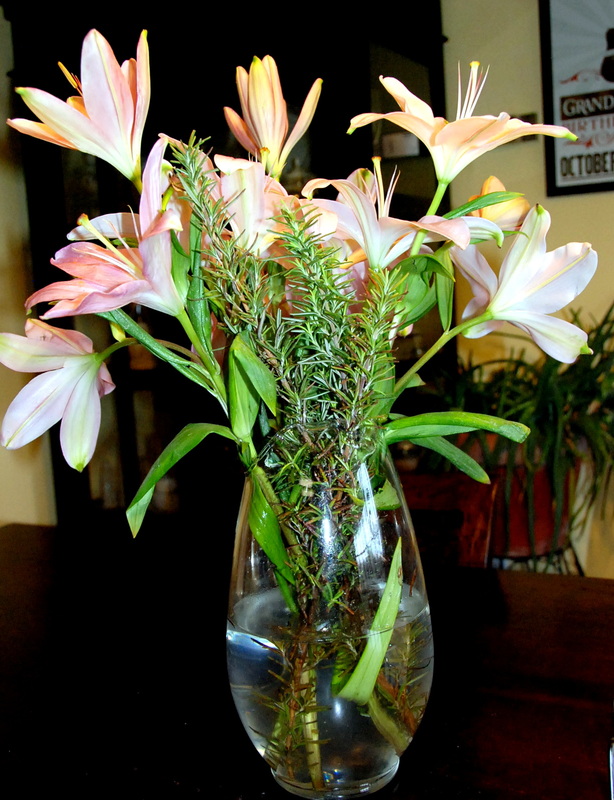 These lilies are some of my favorite flowers. They smell wonderful and last forever, and I added a few sprigs of rosemary from my rosemary plant and it is just gorgeous. It cheers me up a bit every time I walk in the door and see them! What do you do to make it through this LONG winter month?